It’s just after midnight and you’re jolted awake by the sound of a window breaking somewhere on your street. You look outside and you see two men who you’re pretty sure are stealing your neighbor’s car. 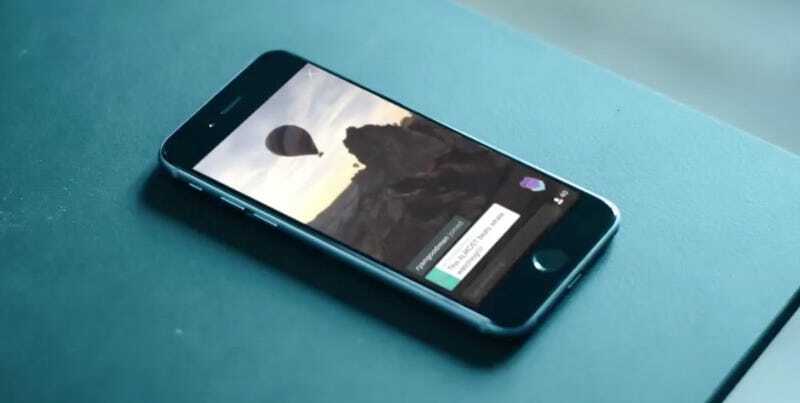 You take out your phone but instead of calling 911, you start live-streaming to Periscope. As part of his plan, the police department will begin using Periscope to livestream their press conferences and field questions from local residents. The eventual idea is that police would be alerted to the crime-in-progress just like 911, but with Periscope the location would be automatically geotagged and they’d also have footage to use as evidence. There isn’t detail yet on how exactly it would work, but I assume you’d tag the police department in your tweet and some centralized dispatch would review the footage and decide if officers need to head to the scene. “We hope that it will work as a live surveillance camera in everybody’s pocket,” an unnamed police officer told The Economic Times. Using social media to catch criminals is a sticky situation. After the riots which followed the 2011 Stanley Cup in Vancouver, police actually enlisted the public to help search through Facebook photos and YouTube videos of the riots to help identify vandals. But what ended up happening was that the public began mounting their own shaming campaigns against the rioters, which resulted in them losing their jobs and fleeing their homes. A study that was published after the Vancouver riots concluded that crowd-sourced policing actually slows and impairs investigations—especially because it’s so easy to fake images. We also saw this with the misguided Reddit-fueled witch hunt after the Boston Marathon terrorist attack. Live-streaming is a little different, of course, since there’s less of an ability to tamper with the images, but there’s still the worry that vigilantes might see the stream, too, and take matters into their own hands—or, I guess, the fact that people could prank the cops. Police might spend so much time investigating the Periscope broadcasts all over the city that they might be missing the real crimes that never got posted to Twitter. There’s also the very real possibility that the person perpetrating the crime might notice they’re being filmed and try to hurt the person doing the Periscoping. If police are encouraging citizens to use Periscope to report crimes, let’s also hope that citizens feel empowered to use it when they’re interacting with cops, too. Periscope in many ways is an ideal crowdsourced equivalent of body cams, except instead of the footage being stored on a camera, it’s right out there in the open.